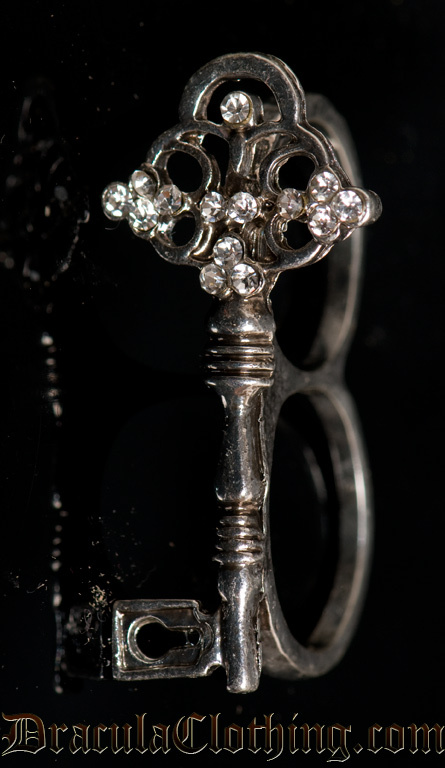 A two finger ring shaped like a key decorated by small white rhinestones. Size 6 has ring size 6 on the smaller ring and 7 on the bigger one. Size 7 has ring size 7 on the smaller ring and 8 on the bigger one.